Hello everyone I'm Jack Red, it's been an while I made an video or blog covering more fight predictions. I really enjoy most of the research especially added stuff I get from people. Death Battle is currently looking for more researchers. I can only hope they allow me to try out for an position on their team. I figured to cover an difficult fight that recently getting massive requests. This particular fight is very difficult to take seriously. Not because they can do anything or really over powered characters. Simply because these two characters have been altered heavily by writers. Some times they're mid class to being the strongest. Basically these two ladies have mind blowing feats that are highly debatable. Which is why I'm kinda ignoring feats in this fight's research. Otherwise I could be getting really confused. After making an list about which advantages are good enough to determine an winner. I believe Scarlet Witch would come out the victor. Yes both of them are very powerful magic users. Even considering Raven's increased potential by losing control or feeling those emotions. Scarlet Witch can do ridiculous stuff with magic that even Dr. Strange can't do. Such as recreated an entire universe, summoning an army & remove all mutant powers. This was done by using Chaos Magic which at it's core being cosmic. According to Mr. Fantastic, cosmic energy are the best energy of the universe. Therefore in comparison what Raven could do simply child's play. Yes I know she has superior magic training & abyssal experience. But if both didn't have magic, Scarlet Witch did get training from Wonder Man, Captain America & Hawkeye. In that regard Scarlet Witch could easily out fight Raven in hand to hand combat. Finally which one do you think differs more on their favor. Being able to steal other people's emotions for additional power or hex magic? On one hand Raven could somehow attempt to steal Scarlet Witch's emotions further increasing her mentally instability. Yet on the other we have someone capable of using hex magic. Scarlet Witch has got crazy achievements using it as bad luck. This includes shortening Ultron's body or causing an gas line under Brother of Mutants' hideout to blow. Raven could steal some of her emotions but wouldn't understand her hex magic. In return giving Scarlet Witch the element of surprise. 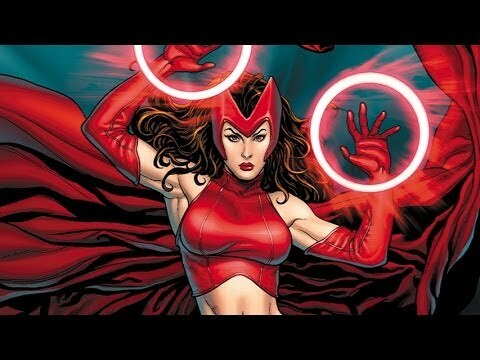 Even if Raven did figure it out, Scarlet Witch is more powerful magic user & skilled hand to hand fighter. Hell this lady recreated her own universe which trumps the greatest achievements Raven has. I hope you guys enjoy my blog & I'll keep making more possible future Death Battle predictions. Until then I'm Jack Red & I'll see all of you later.